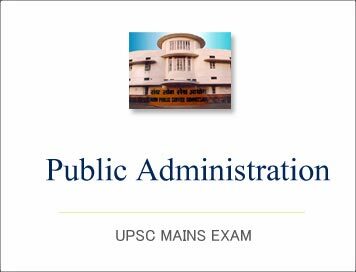 Public Administration Mains 2017 : Solved Paper Question Paper-1 (Question-8) | IAS EXAM PORTAL - India's Largest Community for UPSC Exam Aspirants. ANSWER: Human resource management (HRM or HR) is the of Human Resources. Human resource management is about recruiting, hiring and managing employees. Some of the components of human resource management system are Payroll, Time Management, Benefits, Recruitment, Training, and HR Administration. The Payroll helps to prepare to deposit the remuneration amount into the employee account. Time Management helps to prepare details such as work hours of the employee for a particular month. The Social Benefits helps to keep track of insurance, compensation, and retirement benefits of the employee. The Recruitment is used to select the right candidate for the various posts in the organization. Recruitment and retention may seem like a given for HR management systems, it is the anchor of all HR's policies and systems. Almost all employees , require some level of training because each organization runs things in a different way. After finalization of recruitment with the help of HR administration, the training process begins. HR Administration prepares HR related documents. They explain company policies and procedures to employees. ANSWER: Administrative Ethics denote the professional code of morality in civil services. Code consists of traditions, precedents and standards which have to be kept up by the civil servants. It constitute the moral fiber of civil servants. It regulate the conduct and behaviour of different categories of civil servants. In the context of the growing size and role of administration and its impact on the society, the civil servants are expected to set-up high moral standards not only for themselves but also for the community at large. India has not developed any ethical code for public administrators, here we have , the government servant conduct rules. It lay down what constitutes misconduct for the public servant. Such misconduct, which is not permitted, is also unethical conduct. Keeping in view the growing role of administration in preserving and promoting public interest, the issue of administrative ethics by the civil servants has gained vast significance.